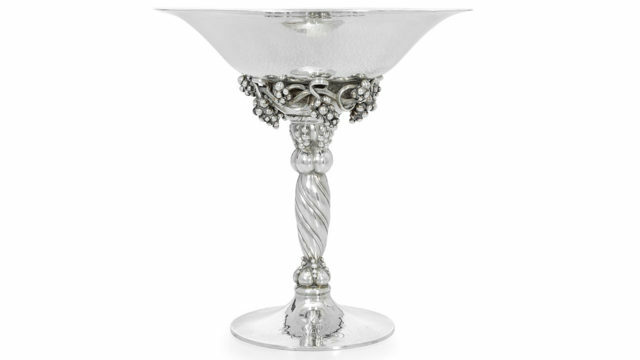 Cowan's Fine Silver: Live Online Auction features a rich assortment of sterling silver, coin silver, and silver-plate from well-known makers like Tiffany & Co., Gorham, S. Kirk & Son, and Reed & Barton. The sale features a variety of pieces including hollow ware and flatware, serving pieces, candlesticks, trays and more! There is no in-person bidding for this auction. Live online bidding will occur online at Bidsquare.com and LiveAuctioneers.com. You can register to phone bid on Cowan’s website or by calling 513-871-1670. Absentee bids will be accepted on Cowan’s website or through Bidsquare or LiveAuctioneers.